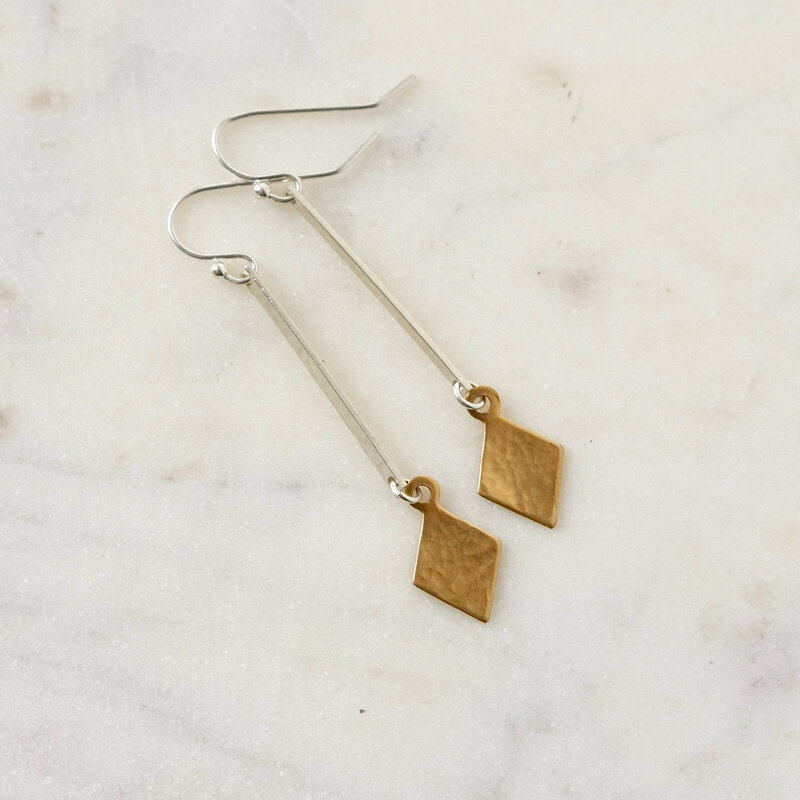 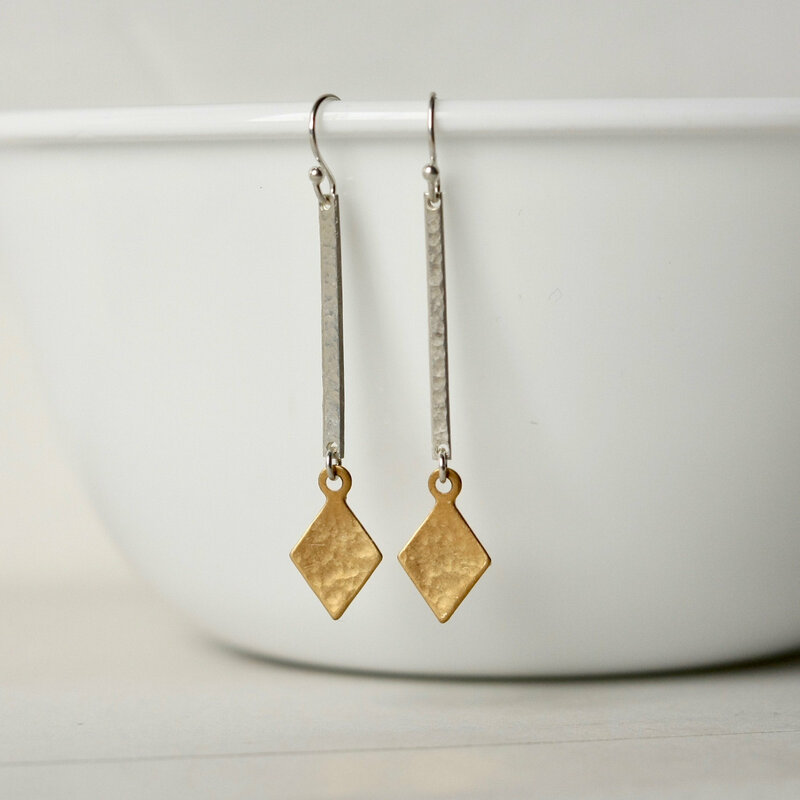 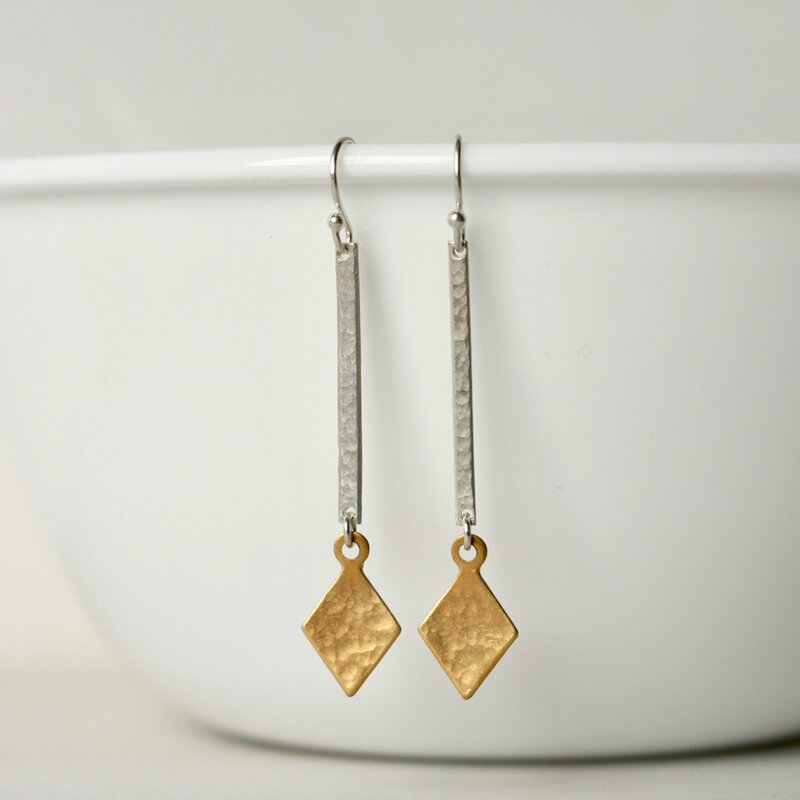 These fun mixed metals earrings have nice movement and a trendy geometric look. 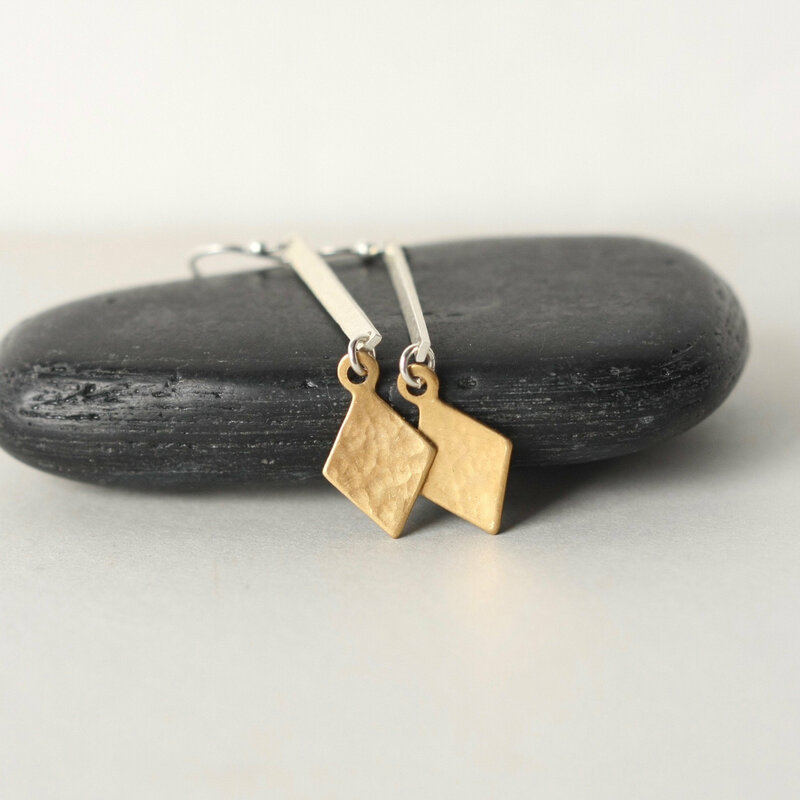 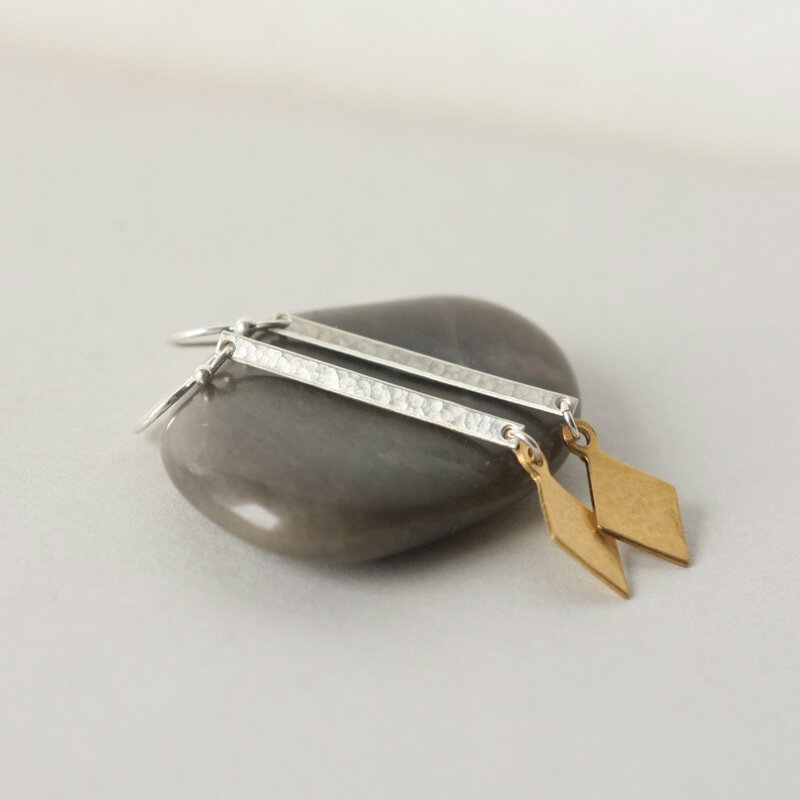 They feature 25mm slim hammered sterling silver bars and 12mm hammered raw brass diamonds. 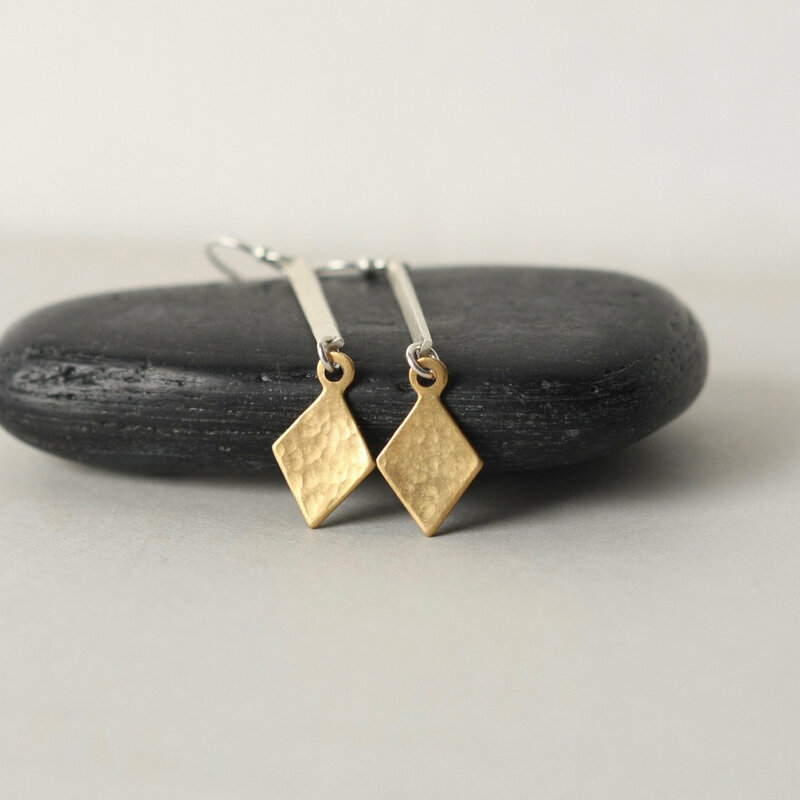 The earrings are lightweight and the texture gives them a pretty shine when they catch the light. 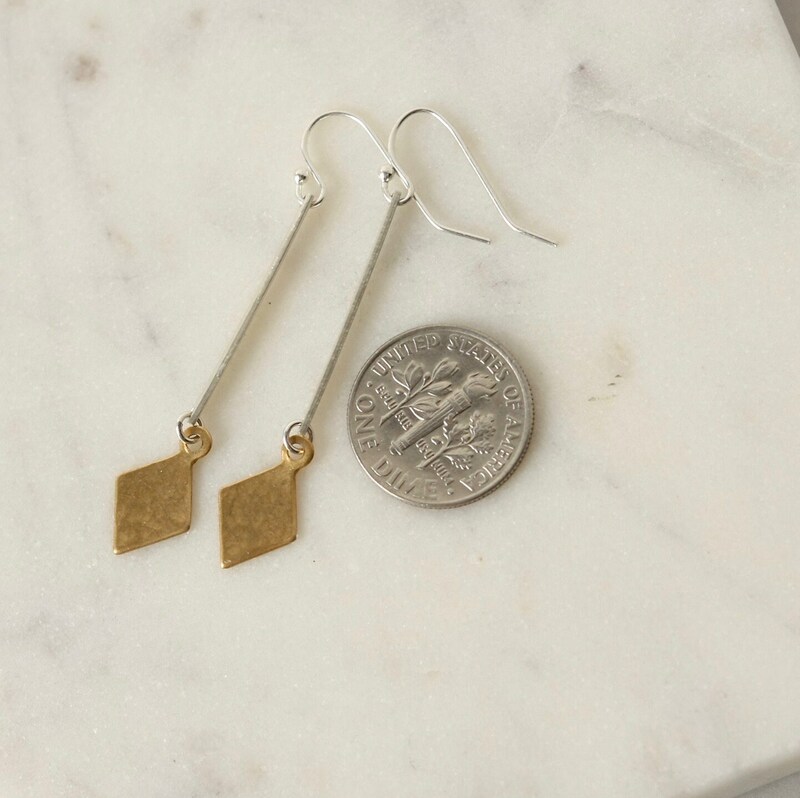 The earrings hang almost 2 inches from the top of the sterling silver ear hooks.